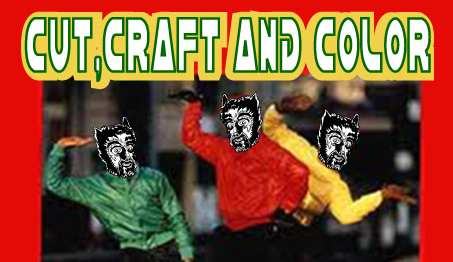 DAY 10 – Lush Newton’s Creepy Color Craft! 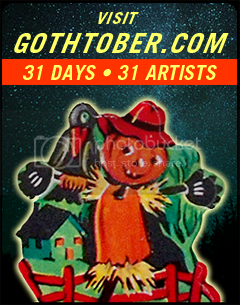 Lush Newton has graced Gothtober for many years now with her classic cut-and-color crafts. This year, the craft is boombox related, for the Story of the Haunted Boom Box, read this, and then act out the story with these crazy haunted breakdancing puppets! Lush works as a designer and illustrator and was recently voted Best Visual Artist in Humboldt County by the readers of the Northcoast Journal for 2010. Accompanying Lush Newton’s piece is original music by Brooklyn based musician Jason Rabinowitz, who you can find in the Wall Street Journal this week! Day 9: Paws of terror Day 11: Delicious graveyard, yum.